Vancouver, BC - Skyharbour Resources Ltd. (TSX-V: SYH) (OTCQB: SYHBF) (Frankfurt: SC1P) (“Skyharbour”) is pleased to announce that 3.4 million warrants have been exercised recently raising an additional $1.3 million in net proceeds for the Company. The majority of these warrants were issued five years ago in a private placement and had an exercise price of $0.40. The remainder of these warrants exercisable at $0.40 have now expired. 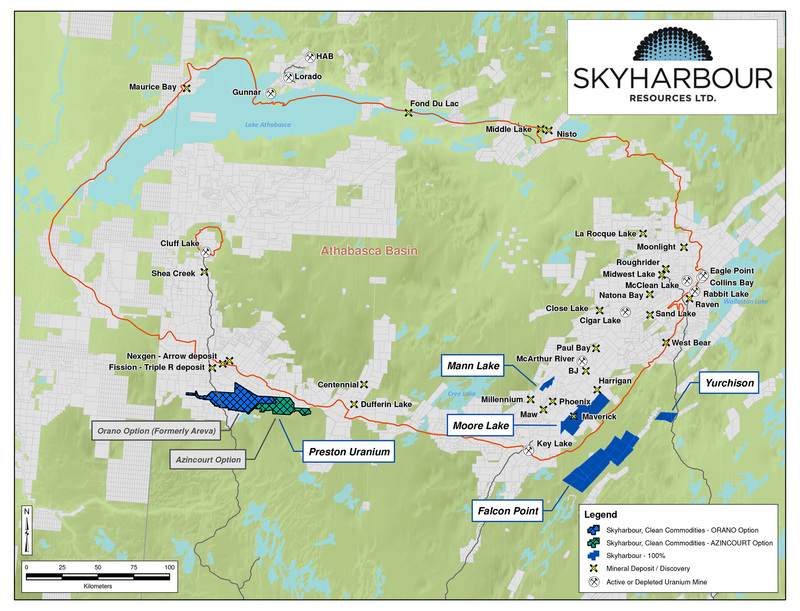 Skyharbour is fully funded for its upcoming 3,500 metre drill program at its Flagship Moore Lake Uranium Project which has a budget of approx. $1 million. The Company is well financed with approx. $2.8 million in the treasury and 47.1 million shares issued and outstanding. In June 2016, Skyharbour secured an option to purchase Denison Mine's Moore Lake project, on the southeastern side of the Athabasca Basin, in northern Saskatchewan. The project consists of 12 contiguous claims totaling 35,705 hectares located 42 kilometres northeast of the Key Lake mill, approx. 20 kilometres east of Denison’s Wheeler River project, and 39 kilometres south of Cameco’s McArthur River mine. 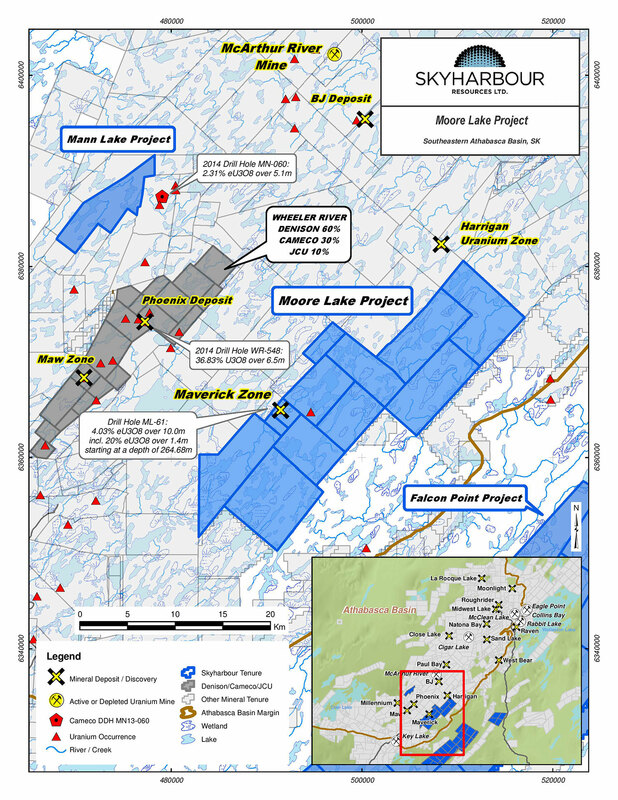 Unconformity style uranium mineralization was discovered on the Moore Lake project at the Maverick Zone in April 2001. Historical drilling highlights include 4.03% eU3O8 over 10 metres (including 1.4 metres at 20% eU3O8) starting at a depth of 264.68 metres in hole ML-61. In addition to the Maverick Zone, the project hosts other mineralized targets with strong discovery potential which the Company plans to test in the upcoming drill program. The project is accessible via winter and ice roads which simplify logistics and lowers costs.